Welcome to your home away from home. 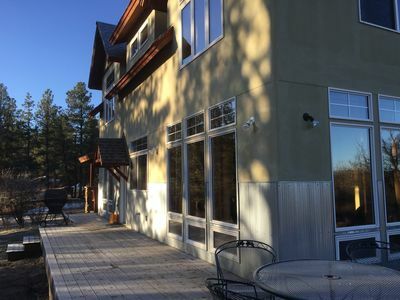 This 900 square foot, 1-bedroom loft condo offers everything you could ever want in a vacation rental, not to mention, it is in the perfect location to enjoy the sights and sounds of Pagosa Springs, any time of year. It is completely furnished with updated furniture and appliances, while providing you with every amenity you will need during your stay. 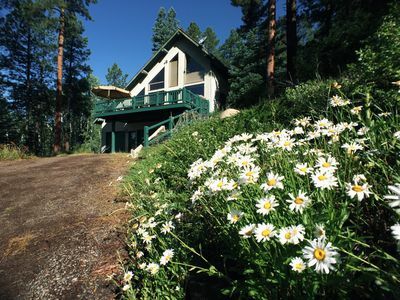 There is no better way to experience the Colorado Mountains of Pagosa Springs, and we hope you will come back and stay with us year after year. 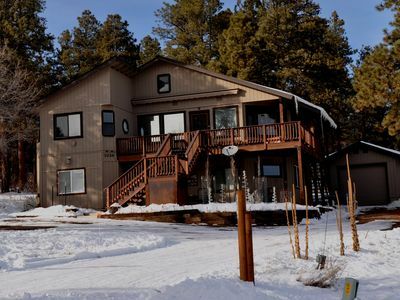 In addition, we provide an iron and ironing board, hairdryer, flashlights, snow shovels and ice scrapers, an assortment of towels to use while visiting the Pagosa Hot Springs, and a sled for the kids to use at the local sledding hill. Please note, the condo does not have A/C and we do not accept pets. This unit does not have a phone. To make your stay even more enjoyable, there is an LCD TV in the living room with a DVD player, DiSH Network, Wii game system (bring your own games) and a well-stocked library of movies to enjoy. You can also stream Netflix or rent on-demand movies from your Amazon account. There is also an assortment of games, magazines and books for your entertainment as well as a stereo system with AM/FM, CD and iPod docking station. We offer complimentary WIFI access, so you can keep in touch with your friends, family and even the office. The condo was recently renovated. 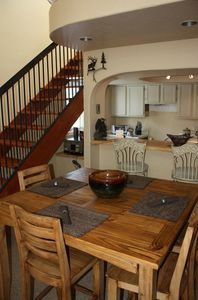 The updates included carpet, appliances, furniture, linens, dishes and cookware. Being seasoned travelers ourselves, we have taken proper care to ensure you will have everything you may want or need during your stay with us. And if there is anything else you would like to add, please let us know. As many guests do not go online after their stay to enter a review, please be sure to click on 'owner info' and then 'Guestbook comments from the owner' so that you can read the many wonderful reviews that have been written in our guest book over the years. 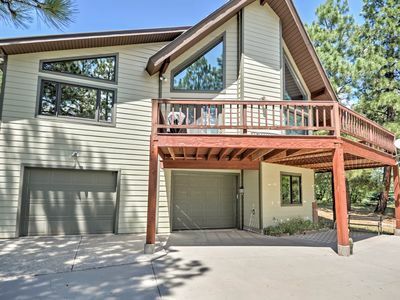 Our condo is located in the Aspenwood I complex, in the heart of Pagosa Lakes (same area as Wyndham Resort), and is within walking distance to many restaurants, shops, video rentals, local breweries, the Pagosa Springs Golf Course, local day spa, and grocery store. 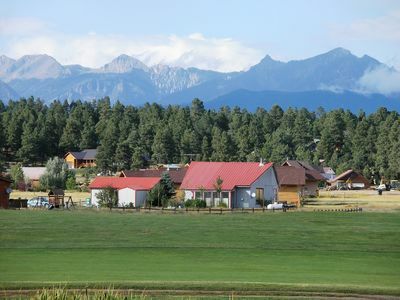 This uptown location is only three miles from the Pagosa Hot Springs, a favorite of Colorado natives and travelers alike. Security Deposits are refunded to you within 7 days of departure, provided the condo and its contents are left in the same condition as your arrival. 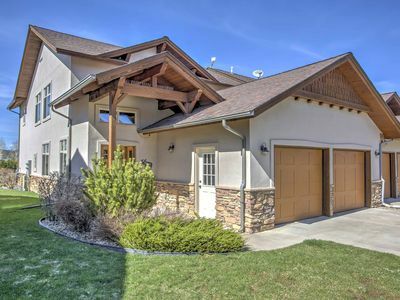 Be sure to ask about our referral program and discounted rates for your return visits. Discount rates and promotions are not valid during holiday/event periods, which include Thanksgiving, Christmas, New Year's, Martin Luther King weekend, President's Day weekend, Spring Break and 4th of July week. 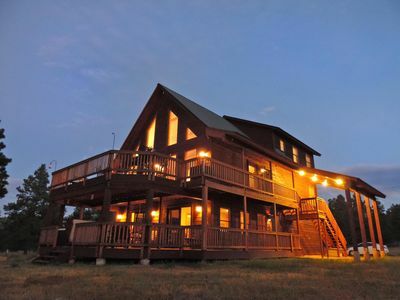 During these times, holiday rates apply and free night offer is not valid. 50% of rental due at the time of booking. 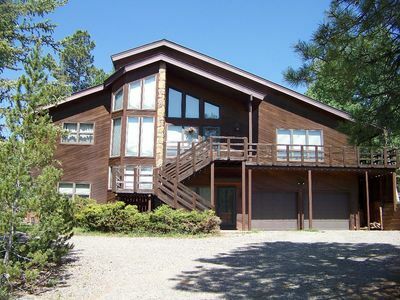 Remaining 50% + $75 housekeeping fee and $200 security deposit, is due 30 days before arrival. Tax is 8.8%. Housekeeping fee is $75 per stay. 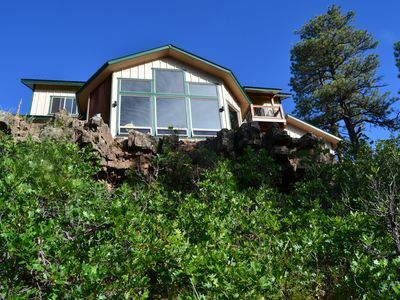 Custom 3 bdrm from $100 per night-Adjacent to National Forest! 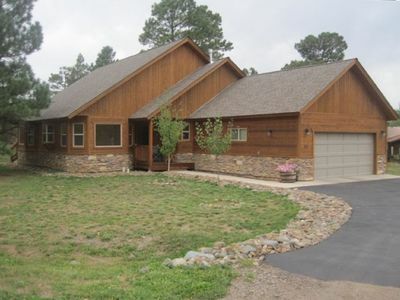 Pagosa Springs Home w/Mtn Views - Near Wolf Creek!